Nothing quite beats the convenience of a well-built gaming chair. As much as you want to get the best of fun, the safety and your health could be at stake. And no one wants to compromise is these two factors. Nonetheless, you still can’t fight the urge to spend those long hours on the computer. So why not outsmart the odds and land that reliable chair. Fortunately, you can always find an ideal one out there. The market has even some that won’t cost you an arm. 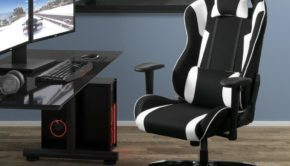 You can get an ideal gaming chair under 100 out there. It’s all about knowing where to look. However, you need to know what to go for. 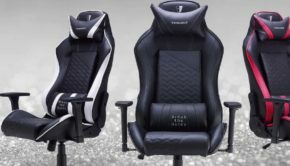 If you are setting out to upgrade your squeaky chair, then here are top ideas on how to choose the best gaming chair. There’s no better aspect to put under the microscope than the material. The material can tell more about virtually anything. Quality proves crucial here. Get one with the wrong material, and you will be back on the market sooner than you would like to. Some of the things to look into here include what is included in the cover, padding and legs. So check on every single detail; don’t sacrifice it when going for a lower price. This comes in among the most crucial aspects here. The fun of the game can’t be complete if the chair doesn’t offer enough comfort. Some offer the best touch you can expect. You can count on the right ergonomics to reduce any stress points on the body. If you have the ideal one, you won’t need to take a few minutes break to stretch so often. Nevertheless, it is recommendable to do so after about every half an hour or thereabouts for your health. It happens so often that most people don’t have enough space to put all the gaming equipment. However, with just the right chair, you can beat this concern without much struggle. Most of these chairs feature a foldable design so you can conveniently keep it away. Others are compact enough to save on the little space available. But what you need to consider the most here is to have the space calculated. This way, you can easily buy the right chair so it fits well. If you have friends coming over every other day, you need to have a chair to show off a bit. Most chairs are well outstanding. However, you don’t have to know how to choose the best gaming chair. It’s largely all about one’s taste and preference. It could be the color you love, the design and its design. The good news is that you can always find a cool chair out there. Finding a cool chair is not all there is to gain. You still need to get the bang for the money you are spending on the chair. The issue of value usually stands out in virtually everything, and these chairs are not an exception. You should focus on getting the best out of your money as possible. If you have an impressive sound system, then a chair with an inbuilt audio system won’t be necessary. So consider going for what has all you need rather than spending more on a purchase that won’t add much value to your system. By the time you consider making this purchase; you probably have much of your system in place already. This could be very helpful if you want to get one capable of working well with everything else. On the bright side, most of the available ones can work perfectly with different types of systems. 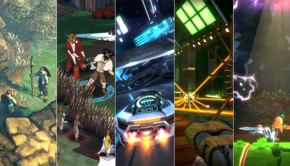 You can find a good option to use with your Xbox 1, PC. And others like Xbox 360, PS 3 and PS 4 and more. You only need to understand what the chair should have to work perfectly with your existing system. It might sound like a no-brainer, but you need a perfectly sized chair. If you don’t want one for a child, then going for the ideal one for adults is inevitable. The worst situation you can run into is buying a chair, only to find out it is too small for you. Luckily, the market is teaming with endless options that you can turn to for your size. These chairs come in all ranges of sizes for different types of users. You can easily find an ideal gaming chair for big guys, so size doesn’t have to be a problem at all. These chairs come with a long list of features, but one thing you need to ensure it has the most crucial ones. The headrest, for instance, goes a long way to offer the much-needed support for your neck. This is not a matter of luxury; you don’t want to deal with a stiff and painful neck after a long gaming session. This is where an ideal headrest proves helpful, which can be very essential for your health. The same could happen if your chair doesn’t come with armrests. The lack of this feature means you don’t have somewhere to rest your hands. Eventually, this causes stress on the shoulders, and could easily contribute to neck pain. Not forgetting, sitting on a chair without armrests for long can be quite uncomfortable. One of the most essential features yet is the lumbar support. 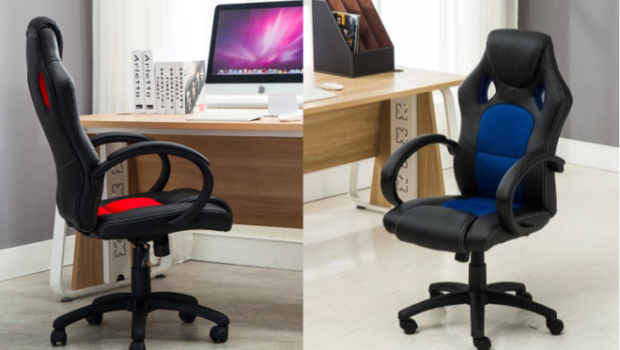 Some chairs feature lumbar support padding or a removable pillow. Whichever you go for, any of these is very helpful. The lack of this feature could expose you to the risk of bad posture, and worse yet, back pain after gaming. When trying to understand how to choose the best gaming chair, the use takes the forefront. You can always put your chair to different types of use. It can be handy for playing games on PC as well as other uses. You might consider an ideal one for the purpose. If you want one for gameplay on your console, this will be a different setting. In this case, you need a conventional one that can offer all the necessary features. It’s thus important to think about the use you have set for the chair before hitting the market. Knowing how to choose the best gaming chair doesn’t take years of experience. In most cases, it’s all about understanding what you need and what it takes. With so many options at your disposal, finding an ideal chair should not be an insurmountable task. Start by understanding the basics and considering the essential aspects, and then proceed to pick the perfect choice for your system. The right chair can cost you, but in the long haul, you will understand it was worth the additional cost. You can let yourself into the immersive effect and take on your adversaries. It’s time to get rid of the old, rugged and clunky; go for the real deal.